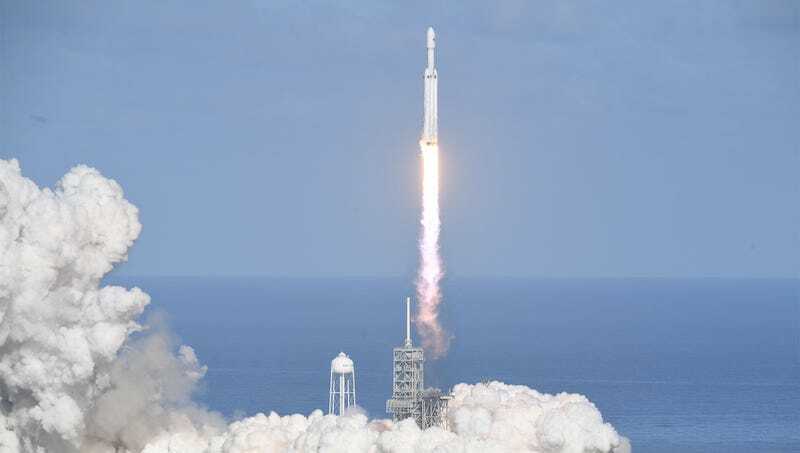 CAPE CANAVERAL, FL—Explaining that the immense pressure and heat within the cabin had proved too much for their fragile canine bodies, SpaceX confirmed today that all 400 dogs aboard its Falcon Heavy prototype rocket failed to survive the trip into orbit. “Sadly, we must report that 315 adult dogs and 85 puppies made the ultimate sacrifice today,” said visibly distraught communications director John Taylor, adding that he hoped the owners of the dogs could take some solace in knowing that most of the animals were mercifully asphyxiated by extreme g-forces before temperatures inside the vehicle could burn them alive. “Vital signs detected by our sensors, along with the persistent whimpering sound being transmitted back to mission control, indicate that at least a handful of these cute little fellas survived the capsule’s exit of earth’s atmosphere. But unfortunately, they too will perish once the cabin’s supply of oxygen is depleted.” Though Mr. Taylor acknowledged today’s disaster represented a major setback for SpaceX’s heavy rocket program, he emphasized that the company would continue to move forward with plans to launch 700 chimpanzees into space next month.